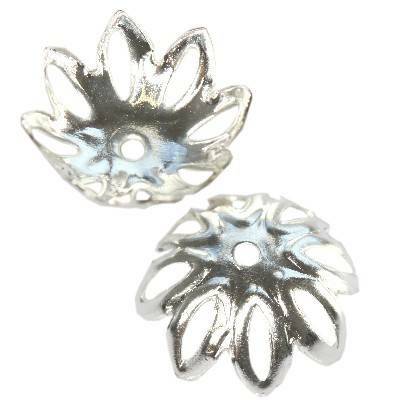 Spacer big flower silver color. Used to apply for round stones, beads. Hole diameter: 1,4 mm.